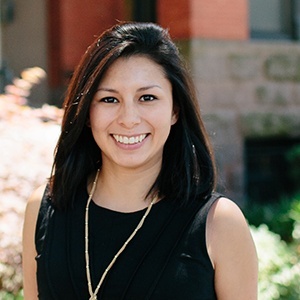 November 27, 2018 Claudia is a Business Development Manager of Residential Services at Arlington Transportation Partners. She has been enjoying her morning reading time on the Metro and multi-modal afternoons since 2014. ATP Takeaway: Riding e-scooters opens doors to explore some of Arlington County’s greatest treasures. Here are five ideas for your next weekend on the town. E-Scooters are the newest way to travel short distances and to see the sights, and Arlington County is full of fun places you’ll want to visit. Here are five places you can check out, plus how to get there with dockless e-scooters. As always we encourage you to ride safely and park courteously when riding dockless. Columbia Pike is home to the historic Arlington Cinema & Drafthouse, a venue for films and comedians but also known for its use of office chairs for the audience. Within a few blocks, visitors can take a culinary world tour at restaurants like BrickHaus, Mazagan, Atilla’s Restaurant, or go to Lost Dog Café for sandwiches and pizza. For outdoor entertainment nearby, ride an e-scooter to Arlington Mill Community Center or Penrose Square for movies on the plaza during the summer. Depending on the time of day, you may want to use 9th Street South Bicycle Boulevard to South Walter Reed Drive and avoid heavy vehicle traffic during rush hour. About half a mile south of Crystal City Metro Station on Crystal Drive are the Crystal City Sand Volleyball Courts and Workout Park. It’s the perfect solution for days when you can’t decide between going to the gym or heading outside for fresh air. When you’re done, take in the sights and murals as you scoot your way to dinner at Crystal City Sports Pub. There are bike lanes on Crystal Drive and South Clark Street and plenty of smaller streets in between to ride, and wide sidewalks that make it easier to park e-scooters out of the way of other passersby. Make a grand entrance when you roll up to the home Arlington’s Tony award-winning theater company in Shirlington. Have a meal, and while you wait for your show, cross South Arlington Mill Drive for puppy-watching at the Shirlington Dog Park. 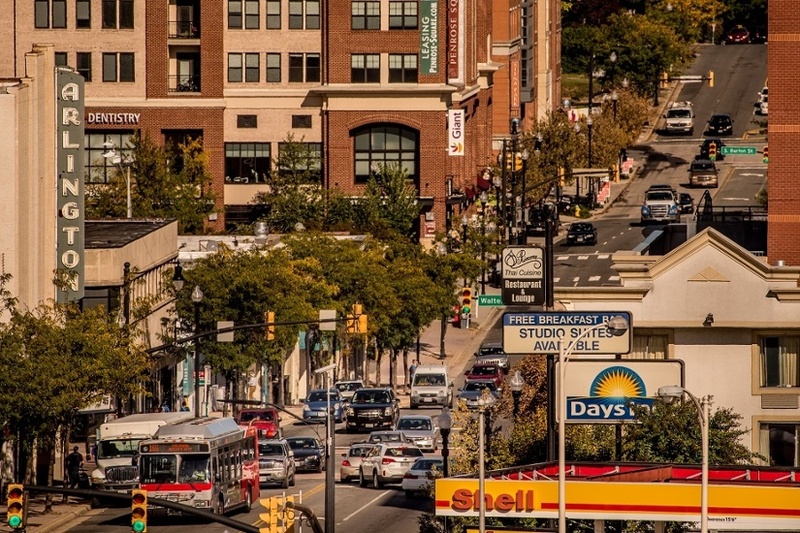 Shirlington is a small, main street type of neighborhood, and the streets are better when shared with people using other modes of transportation. Check out an unparalleled view of the DC region in Rosslyn’s CEB Tower and look as far as Silver Spring, Maryland or Tyson’s Corner, Virginia. Learn about landmarks like the CIA headquarters, the Arlington National Cemetery, and significant people in the area’s history. After you get a photo with a monumental background, find outdoor serenity in the middle of the city at Gateway Park, the plaza at Central Place, or at the Netherlands Carillon. Dedicated bike lanes on Wilson Boulevard and North Lynn Street provide space for scooting through Rosslyn’s busy streets. Pack a picnic lunch for a day at Quincy Park in Virginia Square. Join a volleyball match, take a walk in the garden, or watch a soccer game at twilight. If you’re not in the mood for the outdoors, step inside the Arlington County Central Library to read or check out the latest exhibit of local artists. 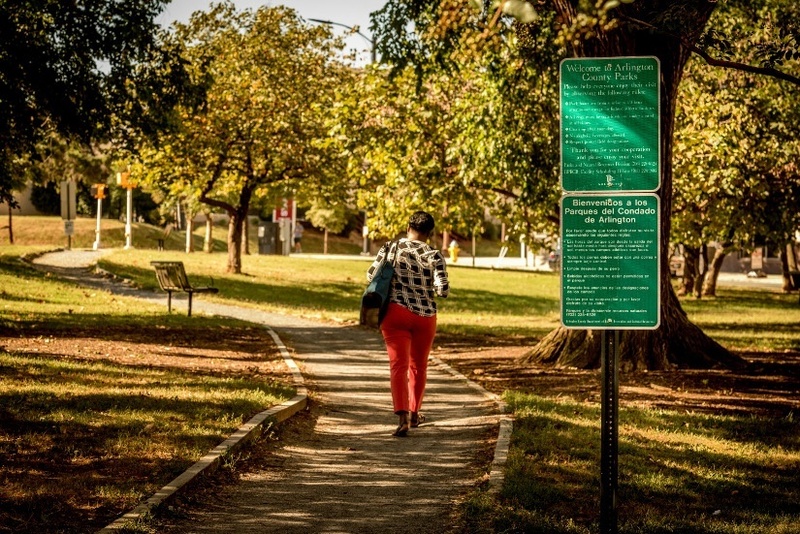 Quincy Park and Arlington County Central Library are nestled between North Quincy Drive and Fairfax Drive, which have bike lanes, and smaller neighborhood streets to share with other travelers. Before exploring by e-scooter, take the time to learn more about riding safely, parking etiquette, and where to ride in Arlington.